Norwegian director Anne Sewitsky’s Sonja – The White Swan (Sonja) will have its international premiere in the Premieres section of the American Sundance Film Festival, which takes place in Park City (and Salt Lake City, Ogden, the Sundance Ski Resort) in the state of Utah between 24 January-3 February, 2019. It will be Sewitsky’s third appearance at Sundance - in 2011 her feature debut, Happy Happy (Sykt lykkelig), won the Grand Jury Prize in the World Cinema Dramatic category; it was Norway’s bid for the Oscars, and it was sold to more than 50 countries. In 2015 her Homesick (De nærmeste) was selected for the same section. 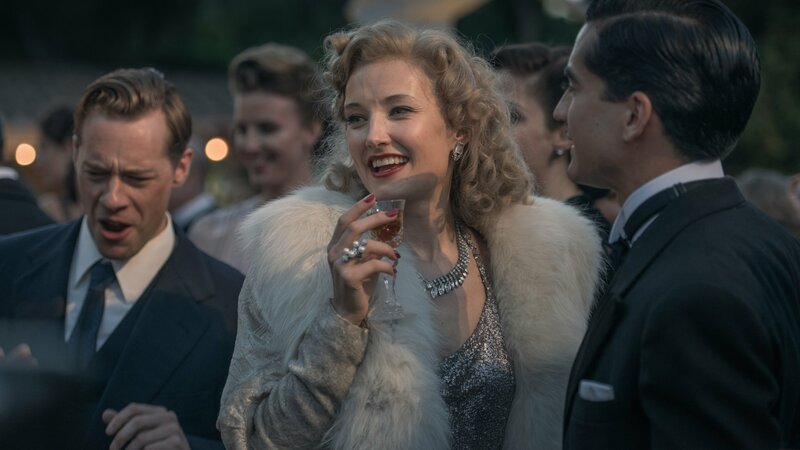 Sonja – The White Swan is the true story of one of the world’s greatest athletes – the inventor of modern figure skating – who was a ten-time world, six-time European and three-time Olympic champion, before in 1936 she decided to to go to Hollywood and change her sports career to become a movie star. She took the film world by storm – her first feature, US director Sidney Lanfield’s One in a Million, was nominated for an Oscar and broke box-office records by selling the most tickets in the world in 1937. Henie became one of the richest women of her time, always surrounded by fans, lovers and family – never alone. She starred in a string of box-office hits including Lanfield’s Thin Ice, US directors Roy del Ruth’s My Lucky Star and H Bruce Humberstone’s Sun Valley Serenade, most of them with ice-skating routines which she choreographed herself. By 1939 she was one of the highest paid actresses in Hollywood. She sacrificed everything to stay in the spotlight, and she refused to retire, although her popularity plummeted, and the contracts from the film companies failed, but she was eventually forced by a serious drinking problem. She moved back to Norway with her third husband and died there of leukemia on 12 October, 1969, aged 57. Scripted by Mette M Bølstad and Andreas Markusson, Sonja – The White Swan stars Ine Marie Wilmann, who received an Amanda, Norway’s national film prize, for her performance in Sewitsky’s Homesick. The cast also comprises Pål Sverre Hagen, Valene Kane, Aidan McArdle and Malcolm Adams. Produced by Synnøve Hørsdal and Cornelia Boysen for Oslo’s Maipo Film, Sewitsky’s fourth feature will be domestically released on 25 December 2018 by Norway’s Nordisk Film Distribution. Denmark’s TrustNordisk handles international sales.